Not everyone finds reading John Calvin a spiritually profitable experience. 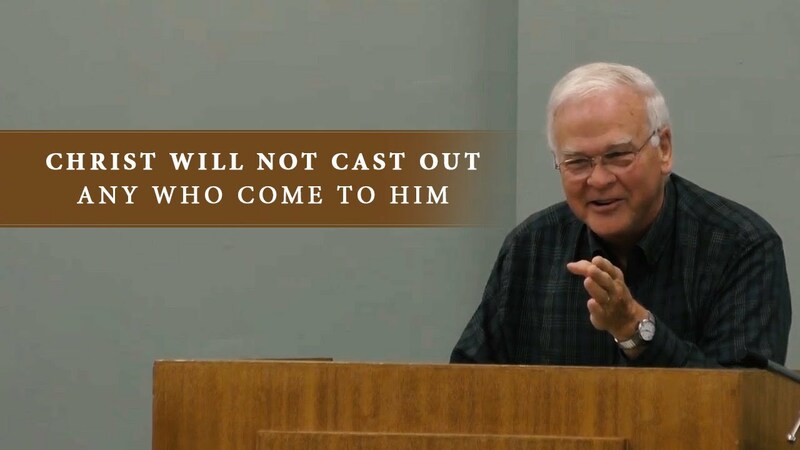 I consistently find him to be dour, rigid, cold, insensitive to the human condition, and prone to make vast theological generalizations from a handful of biblical passages while ignoring the greater part of the biblical witness. But not everyone agrees with Jacobs. Calvin is a cataract, a primeval forest, a demonic power, something directly down from Himalaya, absolutely Chinese, strange, mythological; I lack completely the means, the suction cups, even to assimilate this phenomenon, not to speak of presenting it adequately. What I receive is only a thin little stream and what I can then give out again is only a yet thinner extract of this little stream. I could gladly and profitably set myself down and spend all the rest of my life just with Calvin. Although I had been a pastor for a couple of years, I had little interest in theology. It was worse than that. My experience of theology was contaminated by adolescent polemics and hairsplitting apologetics. But after hearing a memorable lecture on Calvin, he went to the library to get the two-volume Institutes. Tim Keller explained that he spent the year 2012 reading through the entire Institutes. Calvin has a dismal reputation as a pinched, narrow-minded, cold and cerebral dogmatician. I knew much of this image was caricature, and while over the years I had read a good deal of the Institutes, I treated the books like an encyclopedia or dictionary that one dipped into to learn about specific topics. I had never read it straight through, consecutively, until this year when I began the program, which allots an average of six pages a night, five nights a week, for an entire year. Almost immediately I was amazed by several things. First, it is not just a textbook, but also a true work of literature. It was written in Latin and French and is a landmark in the history of the French language. Calvin was a lawyer and seems at time to relish debate too much (a flaw he confesses in his letters). But despite such passages, even in English translation it is obvious that this is no mere textbook, but a masterpiece of literary art, sometimes astonishing in its power and eloquence. Second, it is nothing if not biblical. Even if you don’t agree with what Calvin is saying, you will always have to deal with one or two dozen texts of Scripture, carefully interpreted and organized as he presents his case to you. To describe these volumes as ‘theology’ or ‘doctrine’ is almost misleading—it is mainly a Bible Digest, a distilled readers’ guide to the main teachings of the Scripture and how they fit together. Third, the Institutes are, I think, the greatest, deepest, and most extensive treatment of the grace of God I have ever read. I was struck by how many times Calvin tells us that the foundation of real Christian faith is both grasping with the mind and sensing on the heart the gracious, unconditional love of God for us in Jesus Christ. Over and over again he teaches that you are not truly converted by merely understanding doctrine, but by grasping God’s love so that the inner structure and motivation of the heart is changed. J. I. Packer once articulated three reasons why he thinks modern readers should avail themselves of Calvin’s classic. 1. The Institutes may be easier to read than you think. 2. The Institutes is one of the wonders of the world. 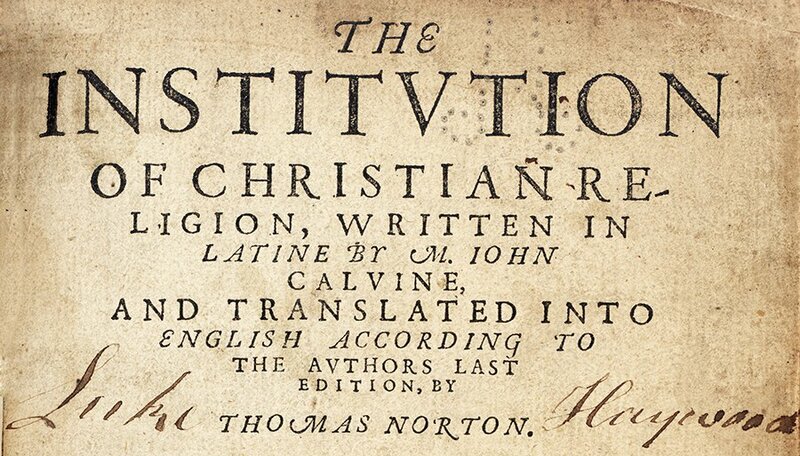 Calvin’s Institutio is one of the wonders of the theological world, too—that is, the world of truth, faithfulness, and coherence in the mind regarding God; of combat, regrettable but inescapable, with intellectual insufficiency and error in believers and unbelievers alike; and of vision, valuation, and vindication of God as he presents himself through his Word to our fallen and disordered minds. . . .
3. The Institutes has relevance for your life and ministry. Do you, I wonder, know what I am talking about? Dig into the Institutio, and you soon will. For a couple of resources to get you started, you could pick up a copy of Calvin along with Anthony N. S. Lane’s guide to the Institutes. Or if you aren’t ready for that step yet, get a copy of an excerpt from book 3, packaged in a pocket-sized edition: A Little Book on the Christian Life. Jesus Christ was rejected by the Jews as their Messiah when He walked on this earth. But people are still rejecting Him today, and not only rejecting Him but rejecting Him for the very same reason the Jews rejected Him. 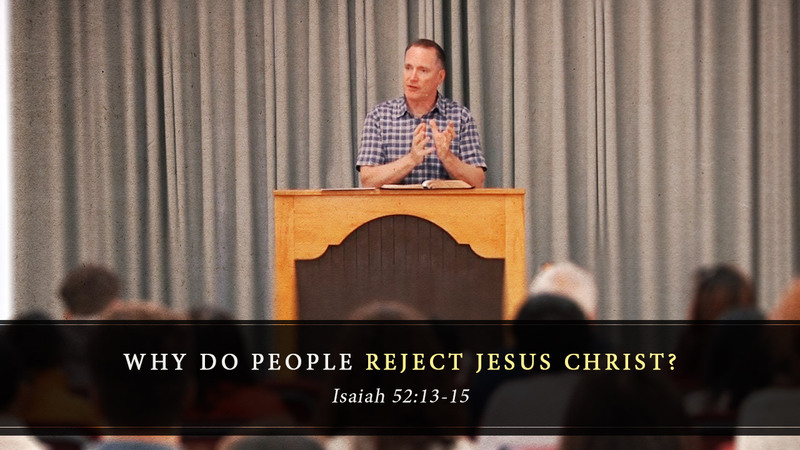 Why would people reject Jesus Christ? Listen to this episode of The Gospel Coalition podcast here. Find more audio and video from the 2018 Women’s Conference on the conference media page.